After myriad takes on the impossibility of reaching today’s HCPs, it turns out they remain OK with hearing from pharma and medical device marketers – providing those marketers approach them via mostly non-personal means. That’s the pivotal finding from one survey. 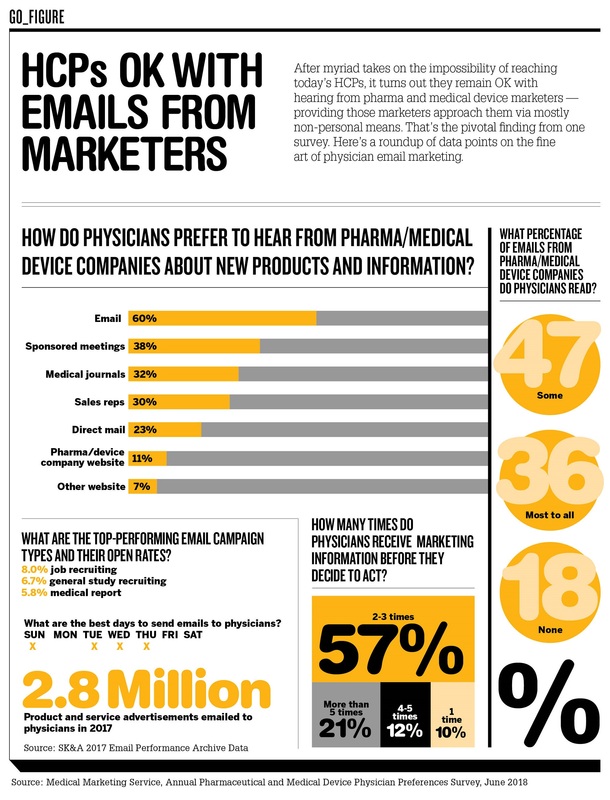 Here’s a roundup of data points on the fine art of physician email marketing. Click on the image for a high-res PDF.